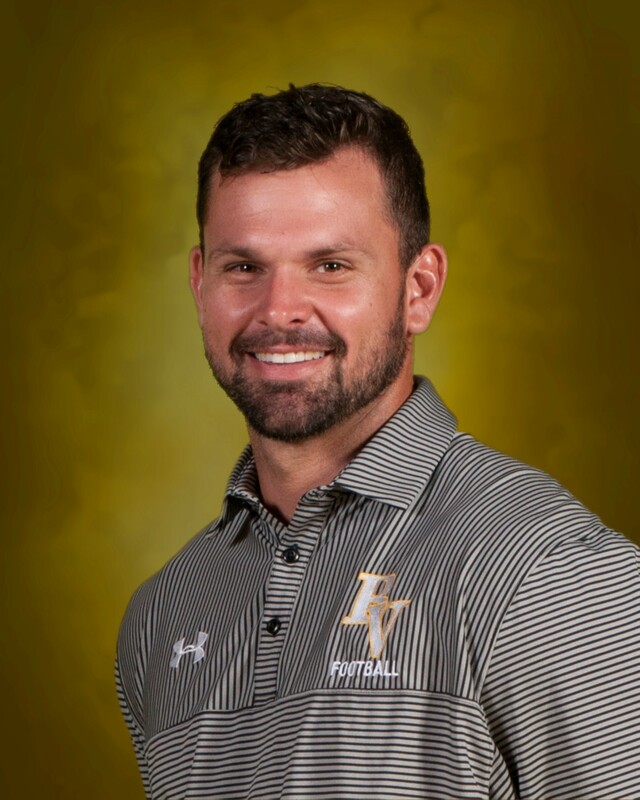 Bishop Verot High School is pleased to announce their new Head Football Coach, Mr. Josh Vogelbach, who will lead the Vikings beginning with the Spring season. Vogelbach’s coaching experience includes 8 years of quarterback training, learning from QB guru Darin Slack. Locally, he served as Offensive Coordinator at Island Coast High School and Quarterbacks coach at Canterbury School and Bishop Verot High School. He returned to Verot in 2014 to join the Viking football coaching staff under Coach Bill Shields, who retired this past December. Coach Vogelbach served as Offensive Coordinator. Vogelbach, a 2004 graduate of Verot, received his Bachelor Degree in Exercise Science, with a concentration in Sports Administration, from Guilford College (North Carolina) in 2008. He is the owner of 2 the Top Performance Training in Ft. Myers, where he and his team train athletes from youth to professional.